Connecticut lines on support services - call us to determine where we connect on your specific needs. Connecticut - Fairfield, Greenwich, Bridgeport, Danbury, Stamford, New Haven and All Points we will travel to meet your needs on Services and are also here for virtual support services.....bear with us while we build out this section we are focusing on comprehensive needs in the Charter Oak State - here when you need us to be. Call Us . Accounting, Taxes, Advisory, Audits (*), Business Analysis, Financial Analysis, Accounting Systems Implementation and Streamlining, SEC Reporting, Federal, State, Municipal Audits, Litigation support, Expert Witness / Testimony work and more. GAAP. IFRS, Controls, Written Procedures, IRC Tax Law and much more including Banking, Insurance, Broker-Dealer, Investment Management, Investment Advisors, Investment and Commercial Banking, Private Equity, Retail, Restuarants, Auto, Boats, Stores, Doctors, Dentists, Hospitals, Attorneys and more. Special skills with wide ranging US, State and Local support where regulations meet Accounting, Tax, Compliance and Governmental/ For Regulatory insight we go to the code and make great business partners fo attorneys in broad areas. (*) Audit Services are currently for Private Companies or Audit Prep.. We will register with PCAOB as the environment improves for CPA Services and Businesses in the overall US Economy. Economic Research is a very big part of our tool set for Cliebt Solutions. From Our perspective the connection of Economic, Statistical, Government, Policy, Legal, Financial, Industry, NGO, and Non Profit Reearch is the future of Services. Working with Financial (Macro and Micro), Legal and Technology skills is the key point where we can connect on as many points to bring value as we may and to link Entity Financials to the Macro Opportunities. We cover a wide range of needs on services because for us the drive is to work with knowledge, experience, teamwork and research. Financial skills work for many needs and we supplement the core skills of 18+ yrs on financials, with more than 5 years of dedicated advanced Economic, Statistical, Government, Policy, Legal and Industry Research. While we are actively pursuing advanced lines on Economic and Legal Education there are many elements of these skills that we may already apply to research and compliance needs. They round out the skills to a path to work with Financial, Legal and Technology skills in support of diverisifed needs on demand for compliant services. Learn more at DCarsonCPA by LOBs on Services. Connecticut holds a special place for us as the origin of many great family memories and the place where many members of our family grew up, were educated, lived and retired. We are part of Connecticut through experience and value that element of our experiences. We are proud to be of service to the Connecticut Business, Individual, Non-For Profit and Governmental sectors. It's a priveledge we hold with honor, and our commitment to services that not only add value, but hopefully that also grow as we grow to have greater community and educational returns. Everything starts with a vision and we have a vision of where we can take things on the road ahead for Connecticut facing Services. Connecticut State Government may face challenges in Finances, but they have also done a great job of making information available for residents and it very much expands our ability to support you on specialized services. We are building expertise and skills that are specific to your state and we hope you will seek us on services - we take on the challenge to show you the many ways we can help. 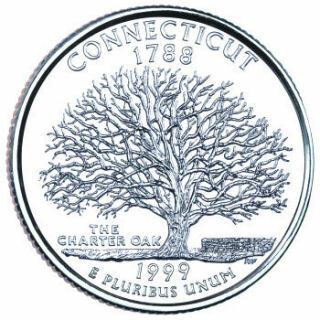 Blog Link above to "The Oak Lines" Our Connecticut Focused Blog Line.